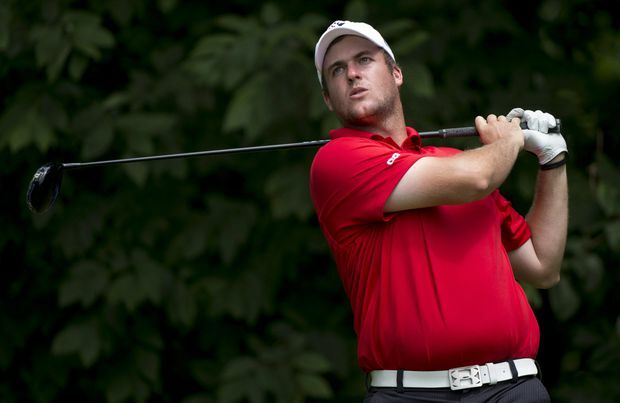 The native of Richmond Hill, Ont., seen above in 2014, is spending his winter in Florida, participating in Monday qualifiers for Web.com Tour events before he begins the Mackenzie Tour season in Vancouver, B.C. “I was trying too hard to make birdies instead of just letting them come naturally,” Pendrith said about the fateful round. “I learned that patience is key. Whether you’re having a good round or a bad round you’re going to get good breaks and you’re going to get bad breaks, that’s just the way golf goes. “Stuff happens, it’s all good,” Pendrith said. “I’ve learned that I belong out there. I want to play out there and can compete and win on the Web.com, it just might take a little longer. Some people’s paths are longer, some people’s are right to the Web, to the PGA Tour, and some guys take three, four or five years. Pendrith has a clean bill of health after struggling with continuing wrist issues, a partially torn tendon in his arm and a torn muscle in his palm that disrupted his 2016 and 2017 seasons. Those injuries were especially hard on Pendrith who is renowned for his power game. Pendrith has the full support of Golf Canada, getting named to the 2019 Team Canada Young Pro Squad on Jan. 19. National men’s head coach Derek Ingram said he feels the sky’s the limit for the golfer’s potential. “Taylor’s one of the best prospects to come out of Canada in the last 50 years, quite frankly,” Ingram said. “He’s a unique player in the sense that he hits it so far and he’s quite straight. He’s just a tremendous player. “I’m going to play in probably six Monday qualifiers basically until the Canadian Tour season starts,” Pendrith said. “It would be great to play my way into a tournament and try to have a good finish there. Worst case scenario, Plan B, is to come back and prepare for a great season in Canada.